Pousada dos Guanavenas, at the island of Silves, the main lodge conceived in 1980 by Severiano Mário Porto, has won an architecture prize. Built like an indian “oca” the central communal building of several Brazilian indian tribes. Using one central wood pilar that works as an axis to all the structure, this ingenious solution uses the local superb Amazonian hardwood. The Lodge: 54 rooms in 3 buildings and 22 bungalows, each unit air conditioning, mini bar, 3 single beds, private bathroom with electric shower and balcony. Restaurant serving buffet meals, volleyball and tennis court, fitness room, 2 swimming pools, games room, video and TV room, recreational court, 30 m / 98.4 ft. high observation tower, telephone cabin for local and long distance calls, function room for 200 persons. Facilities for disabled guests. Team of expert and bilingual guides. 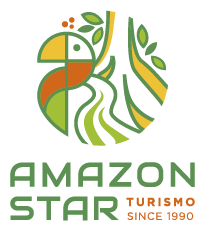 – full board: all buffet meals including Amazonian dishes. Beverages served during meals: mineral water and fresh fruit juices.